For this, you will be asked to create an account on the ConfTool server, which you will also need later to register for the conference. A minisymposium typically comprises one, two, or three two-hour sessions with 4 talks of 25 minutes each. You will be asked to upload a description (at most 300 words) and tentative speaker list. If you know the titles, you can also enter those, but titles + abstracts can also be finalised if and when your minisymposium gets approved by the Programme Committee. 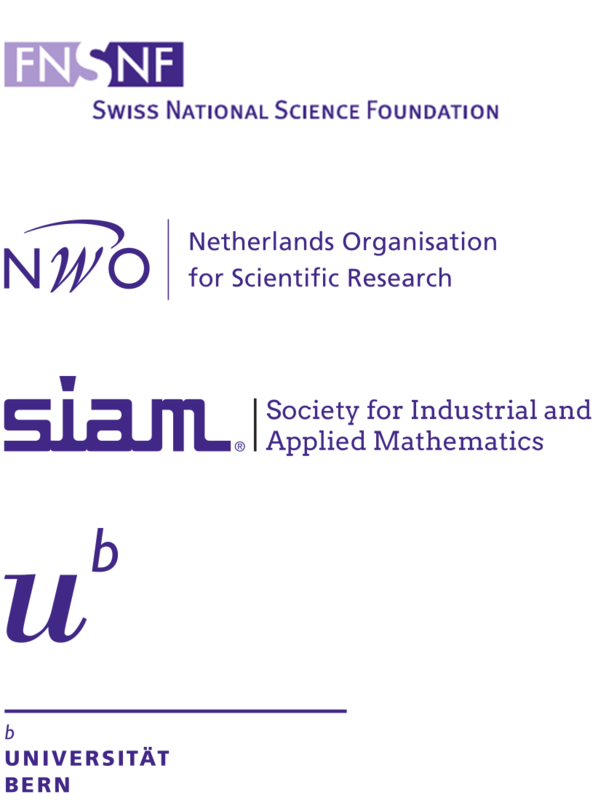 Participants and minisymposium organisers are asked to respect the SIAM rule of 1 talk per person. There is one notable exception: a minisymposium organiser may, in addition to a talk in another minisymposium organiser, have an introductory talk in his/her own minisymposium; indeed, SIAM very much welcomes such introductory talks, typically at the beginning of minisymposiums.